There is a very useful feature available in Exchange Online . Its called alias. Today I will discuss the benefits of using alias in a Business. I shall show you how we use Alias within our Company TechGyan. Helpdesk : This is for existing Customers. They can send a mail to this alias if they wish to record a support call; they have some queries in billing ; they need any kind of information. In short , if an existing Customer needs to communicate with us , there is only one email id he should remember. Sales : If a new Customer wants some information on our products or service or if we have to send a proposal , then this alias is used. In every Company , people change or leave . So it always creates a disconnect between the Company and the external stake holders . Mails bounce or go unanswered. To overcome this problem, we have created the above aliases in Exchange Online. They are also called as Distribution Lists . 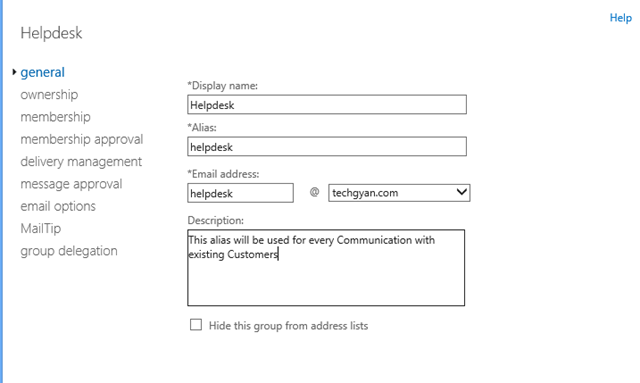 So if an existing Customer sends a mail to Helpdesk , there is a Distribution List linked to this alias by which , any email to Help Desk will get auto forwarded to the people in Distribution list . If any person in the list changes , we have to just remove old name and add new name . The alias name remains unaffected. The above screen shows the list of people who are members of this alias. 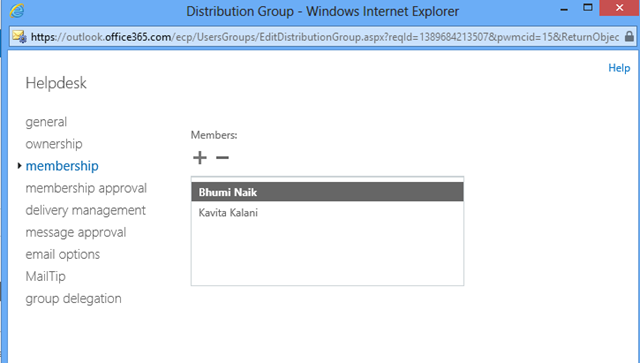 Here you can add or remove people as per your requirement . As shown above, various options are available. 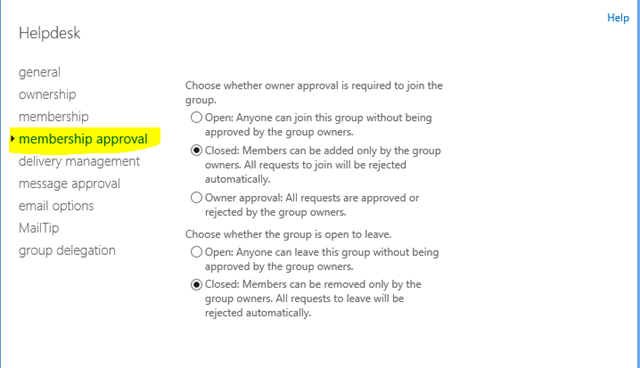 Group can be open or closed. Members can join it by themselves or only owners can add them. 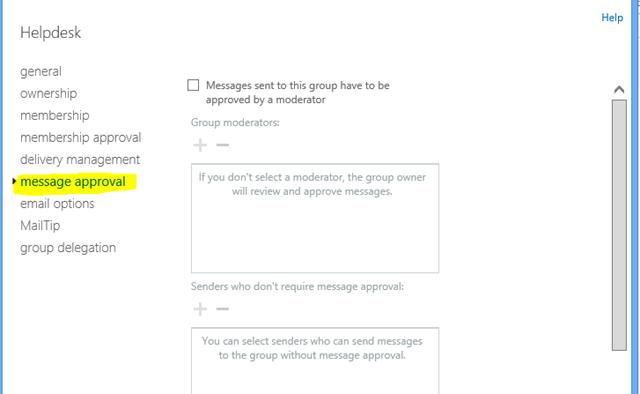 Any messages sent to this alias could be moderated before being delivered. In our case, we have not kept any moderator as we want any Customer to contact our Helpdesk without restriction. 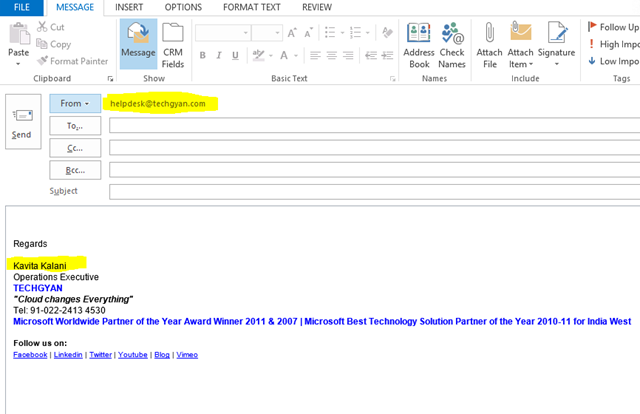 In the above image, you can see that Kavita is sending mail from her outlook. But the outgoing mail has mail id of helpdesk@techgyan.com . As you can understand, the alias feature in Exchange Online is very powerful and can be customized with various options. And the best part is that it is FREE . Which means , you can create as many aliases as you wish to and there will be no charges for the same. 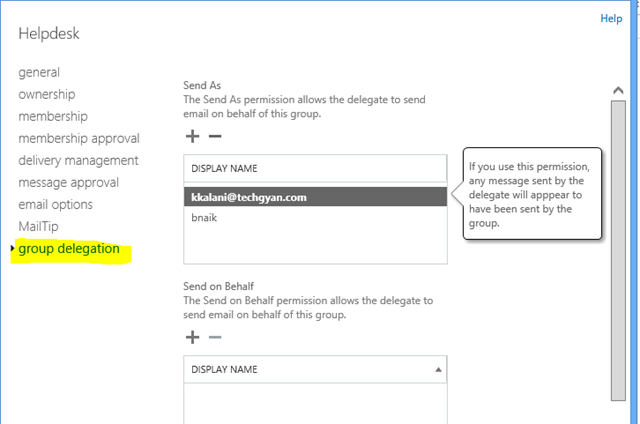 So get going and implement Office365 aliases in your Company ! Now ! This entry was posted in Cloud Computing, Microsoft Online Services, Mobility, MS Exchange, Office365 and tagged Cloud Computing, Exchange Online, ms exchange, ms outlook, Office365, Suresh Ramani, Techgyan. Bookmark the permalink. 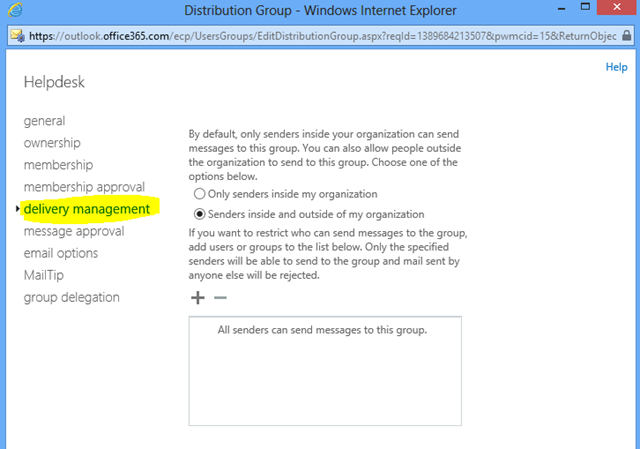 There exists a cloud service named “ChooseFrom 365” that allows Office 365 users to send a message with any of their own SMTP addresses as the From address.